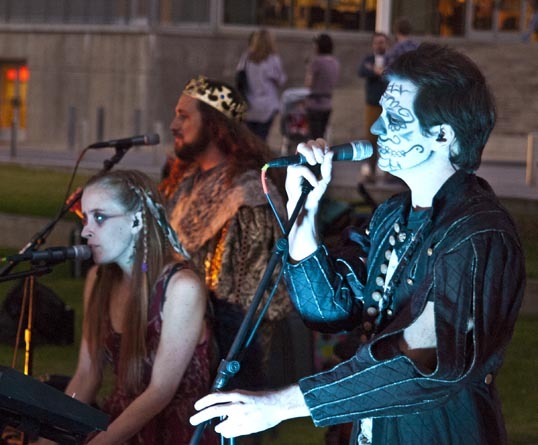 Last Thursday, Halloween, was the last Patio Sessions of the season. These are really nice little free concerts held down in the Dallas Arts District – I’ve been going to as many of these as I can. It’s tough to get down there on time after work, but I rush out and grab a train and usually get there with no problems. I had circled this one on the calendar because Home by Hovercraft was performing. 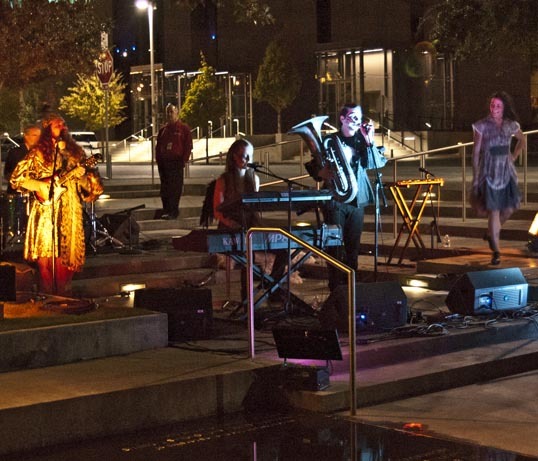 I am a big fan – have seen them in Klyde Warren Park and in Deep Ellum and enjoyed their theatrical performances, music that doesn’t really fit into any genre that I’m aware of. Their concerts will be on hold for a bit as they prepare for another run of their musical, On The Eve, this time at Theater Three (I am really looking forward to this). In Halloween style, they were in costume, as were more than a few of the folks present. 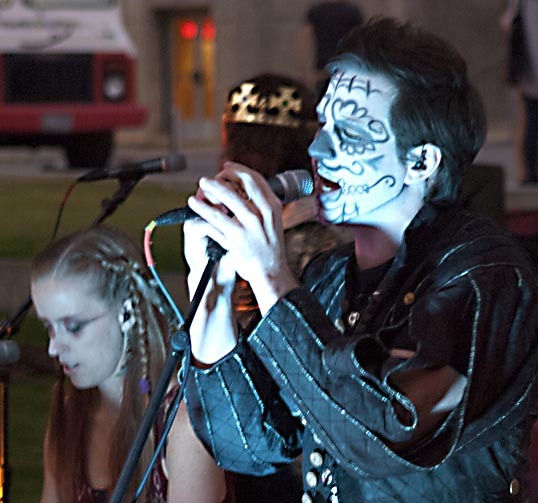 By the end of the concert, there was a clot of folks decked out in bizarre outfits dancing along the edge of the reflecting pool (sorry, no photos – it was too dark by then). Pretty surreal and a lot of fun. 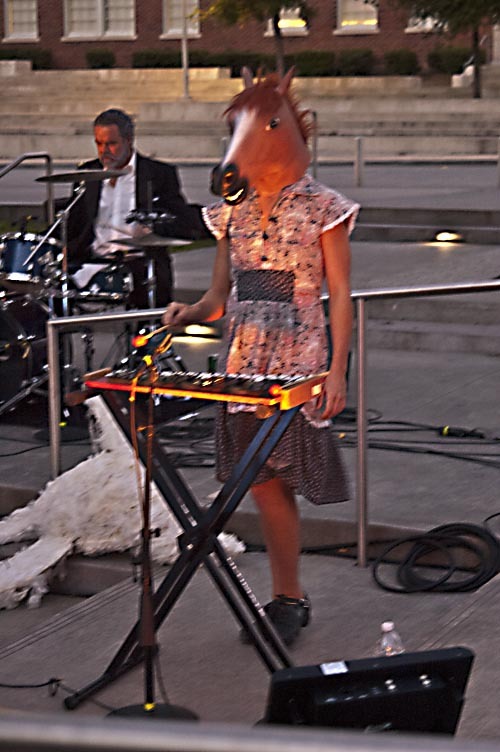 Best step-dancing, xylophone playing horse I’ve seen in awhile.